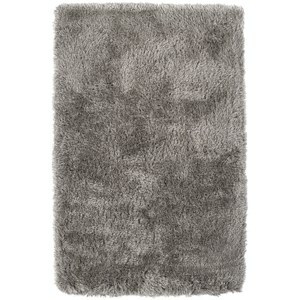 Imagine sinking your toes into a soft, fluffy shag rug. 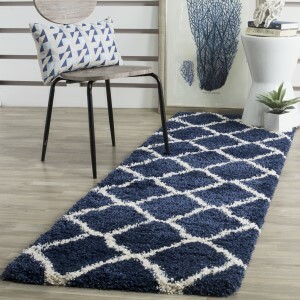 These super plush area rugs infuse your space with comfort, softness, and irresistible texture — read on to learn more and get styling tips. 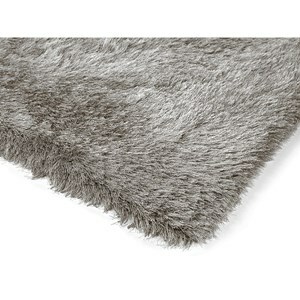 About Shag Rugs What gives a shag area rug its distinctive look and feel is the deep pile and fluffy, “shaggy” appearance. 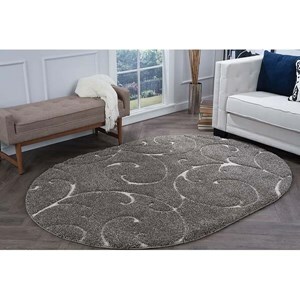 The fibers of shag rugs are typically cut longer than on other area rugs, producing a deep, cushy pile that can range from around a half-inch to more than one inch deep. 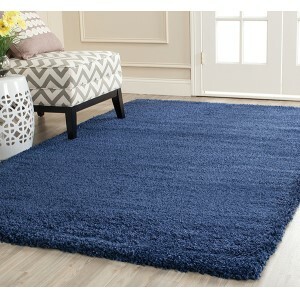 Common colors for shag rugs include blue, black, ivory, and cream. 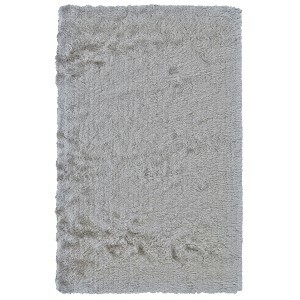 “Sheepdog” shag rugs have a fluffy, dense texture similar to (you guessed it!) a sheepdog, and are usually made from wool. 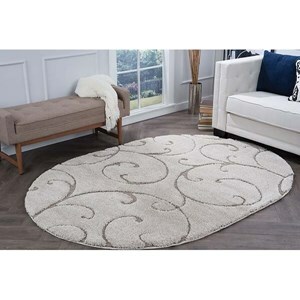 “Noodle” shag rugs have thick, more defined fibers in the shape of noodles. 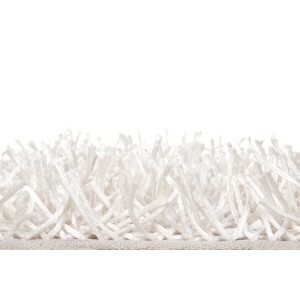 “Shaggy” shag rugs tend to have lots of long, thinner fibers. 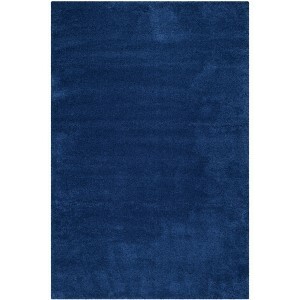 If you think of the classic 1970’s shag rug, this is probably what you’re picturing. 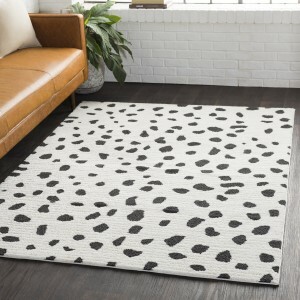 Shag area rugs come in all sorts of shapes, sizes, and levels of softness, so you can find just the right rug for your space, whether that’s a super-soft round shag rug or a big fluffy rectangular shag rug for your living room. 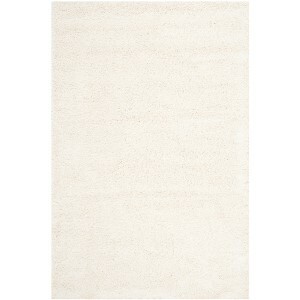 Hand-tufted: Hand-tufted rugs are created by pushing yarns into a fabric base. The surface pile is then cut long to create the signature shag look. 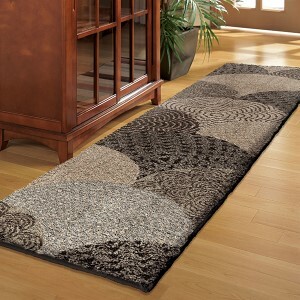 Machine woven: Machine woven shag rugs are made by mechanized looms, which allow the rugs to be made quickly. 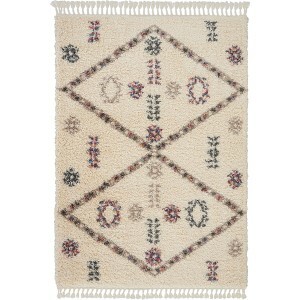 Machine woven rugs are budget-friendly and come in a wide range of styles, colors, and materials. 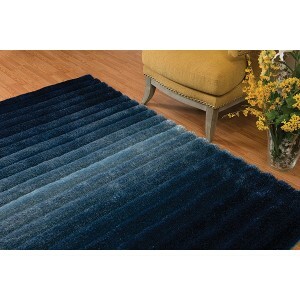 High pile: The length of pile produced once a rug has been woven is determined by how long the yarns are cut. 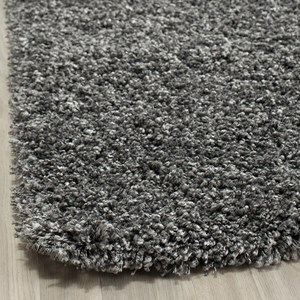 Shag rugs typically have a high pile, meaning the yarns are cut long for a soft, fluffy feel. Polypropylene: Also called olefin, polypropylene is a synthetic fiber that is strong, colorfast, and comfortable. Shag Rugs: Past and Present In Morocco, another form of shag rug — known as the Beni Ourain — has also been produced for centuries. But it wasn’t until the late 1960’s and early 1970’s that these and other shag rug styles found popularity in the United States. By the mid-1970’s, eclectic, international style was flourishing in the United States. 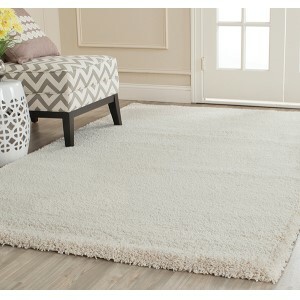 This, paired with a desire for a more casual lifestyle at home, made shag rugs a natural fit. 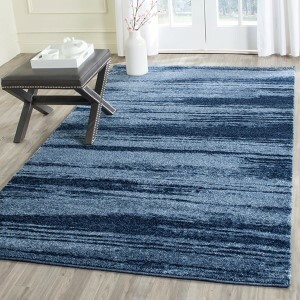 Rug manufacturers started producing new versions of this popular style in more vibrant hues and bold patterns. But due to the overabundance of shag rugs — not to mention the overuse of that 70’s staple color palette, avocado green and harvest gold — by the 1980’s people were ready for a break from shag rugs. 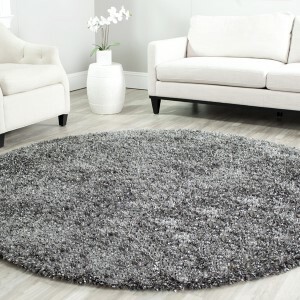 Enter the new millenium, and shag area rugs began to enjoy a well-deserved renaissance. 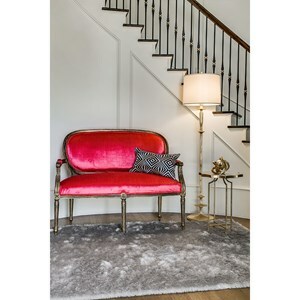 With updated colors and delightfully warm and fluffy textures, it was only a matter of time before these mavens of comfort made their way into our living rooms, bedrooms, and hearts, once again. 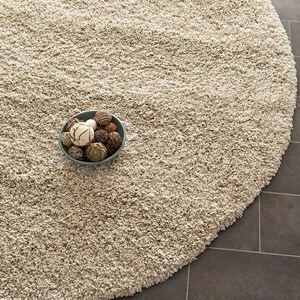 Styling and Care Tips for Soft and Fluffy Shag Rugs The long fibers of shag rugs do require special care. Whether your shag rug is made from wool or a synthetic fiber, you will need to give it some TLC to keep it in great shape. Unfortunately, those long tendrils can be damaged by direct vacuuming. A safer way to remove dirt and dust particles is by turning the rug over and vacuuming the reverse side with a suction-only vacuum attachment. 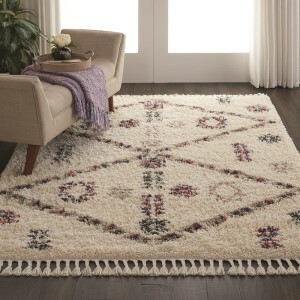 If your rug looks like it needs more than basic dust removal, it’s best to leave it to a professional rug cleaner. 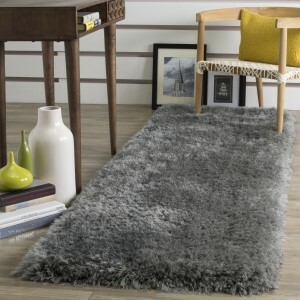 Since shag rugs require some special handling, the best places to put them are in less-trafficked areas of the home, like the bedroom and living room. 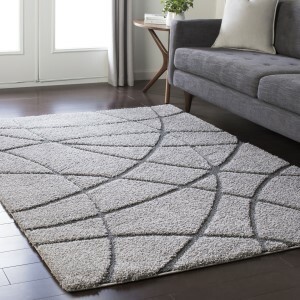 Just looking at a soft, textural shag rug in a space instantly boosts the room’s comfort factor, and the feel underfoot is even better — so think of putting these plush beauties somewhere you’re likely to go barefoot for maximum enjoyment! 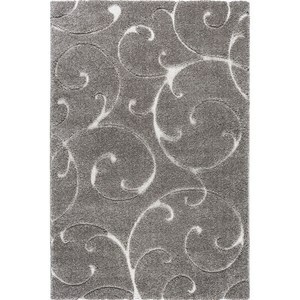 Vintage: There’s no better way to channel vintage style than with a cool shag rug. 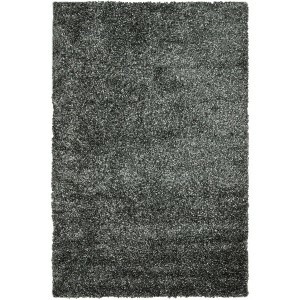 Modern: The deep pile and fluffy texture of shag rugs bring welcome warmth to sleek modern spaces. Eclectic: Love to mix it up? A soft shag rug will fit right in. Add texture to a neutral space. Use a large rectangular shag rug under the bed. Put a round shag rug in your dressing area. 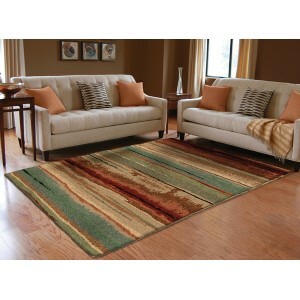 Use a colorful shag rug under the coffee table to add a retro touch. Find Your Perfect Oriental Area Rug Use these shortcuts to narrow down your search results and find just the right rug for you.